The squirrel thanks the people after got a food. 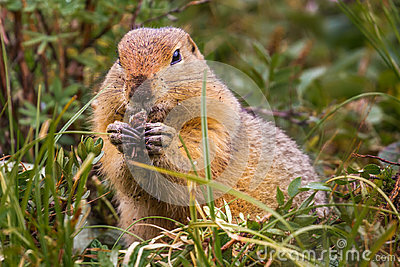 European ground squirrel standing on the meadow and watching. A white forest squirrel stands on the ground and looks for food.